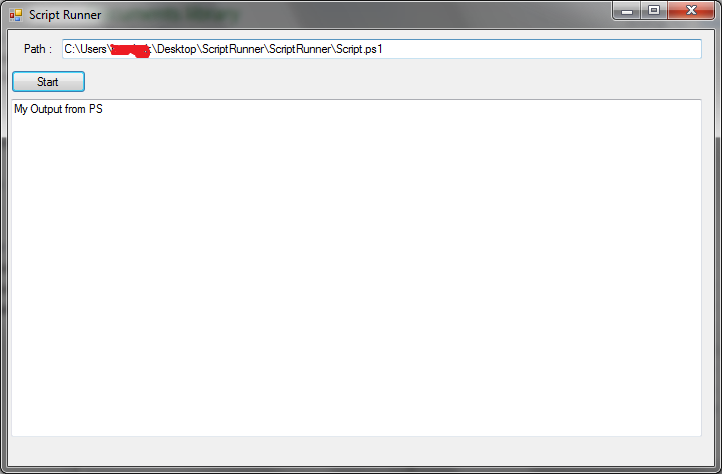 Hemika's Blog: Windows form application to run a PowerShell script file. Windows form application to run a PowerShell script file. I have developed a small windows form application to run a PowerShell script file. I havent done many of windows form applications. The application will only run a script. It will not call any function on the script unless the script it self is calling the functions. The command "write-host" will give an error if it mentioned on the script. Therefore change the "write-host" commands to "write-output" in your script. "write-output" will actually send an output to the text window. Feel free to edit the software. A sample ps1 file is also included.